Could Orkney lead the way in reimagining The Cloud internet at the edge? Given the islands proactive attitude to community-led energy, what could community-led data look like? Instead of storing and processing data in distant places, how could we use the islands’ energy to store and process local data? These are some of the questions that a new community forum hopes to answer. The Orkney Cloud Forum is funded by a Mozilla Research Grant. Mozilla is dedicated to keeping the web open, healthy and accessible for everyone and also known for its Firefox web browser. The forum is being coordinated by Duncan Clarke at Aquatera Ltd. and Laura Watts at IT University of Copenhagen, Denmark, who has spent the last decade working in the islands. 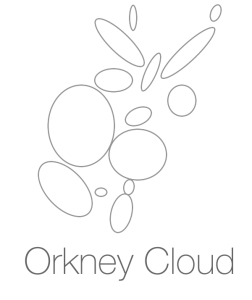 Orkney Cloud Forum (orkenycloud.org) is a community forum where the needs and novel ideas for an ‘Orkney Cloud’ service can be discussed and developed. It is open to anyone in Orkney who wants to contribute. The first meeting is Wednesday 28 February at 1.30pm in St Magnus Centre. The forum is part of a project to explore how Orkney could be a living laboratory for places at the internet edge, where the data network might be ‘thin’ but close-working social networks are ‘thick’ – and the environmental resource that could power data processing is huge. Organisations located at the edge of the internet, such as in Orkney, need to manage and process data. For example, collecting data from remote sensors in the sea, or transmitting energy usage information. A local cloud service could support socialising, sharing, and distributing the storing and processing of this data around the islands, rather than relying on distant and centralised cloud services. This opens up opportunities for local organisations to become owners and participants in different parts of the data infrastructure, just as people have become participants in the local energy infrastructure. 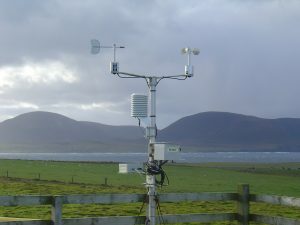 “We believe that the self-determined approach Orkney has already taken in community energy, could lead to innovative ideas for community data services. We see the cloud as a social and technical system, that requires a social and technical solution. The Orkney Cloud Forum is a place for everyone who has expertise and inspiration to imagine something different for data services, something that could work well, here, at the edge,” said Laura Watts, Associate Professor at the IT University of Copenhagen.